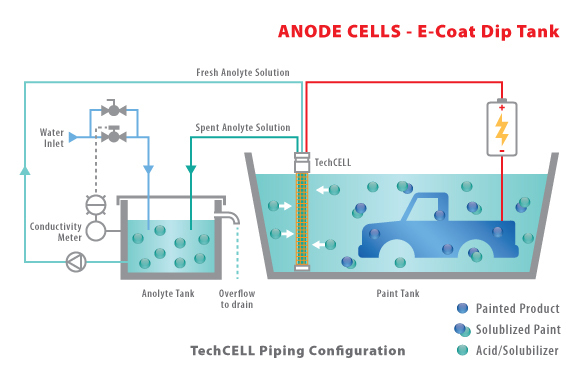 Synder Filtration’s TechCELLTM anode cell was specifically designed to optimize the electrocoating process. 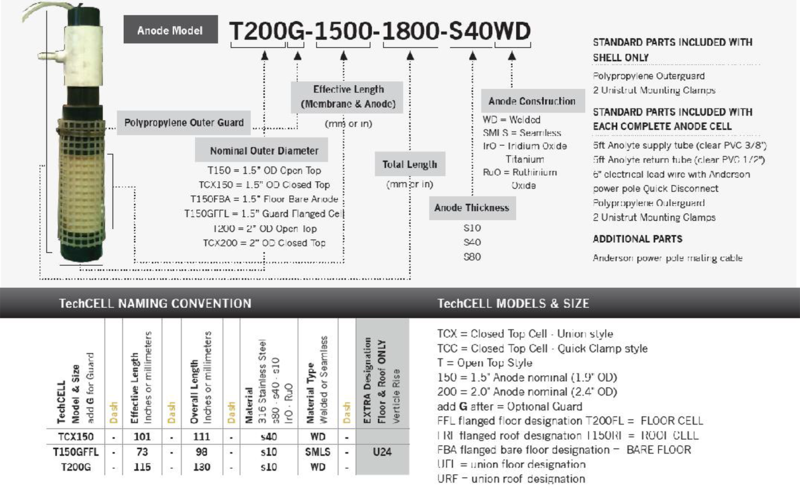 The tubular anode cell design is the preferred style for smaller industrial E-Coat lines. Synder Filtration’s Anolyte Recirculation System offers advanced conductivity controllers, ultrasonic level sensors, and UV systems to meet the needs of both automotive and industrial E-Coat applications. These can be customized to fit your specific requirements. Equipped with a robust anionic membrane, the electrical charge on these cells transport the excess acid in the paint bath to an anolyte recirculation system. 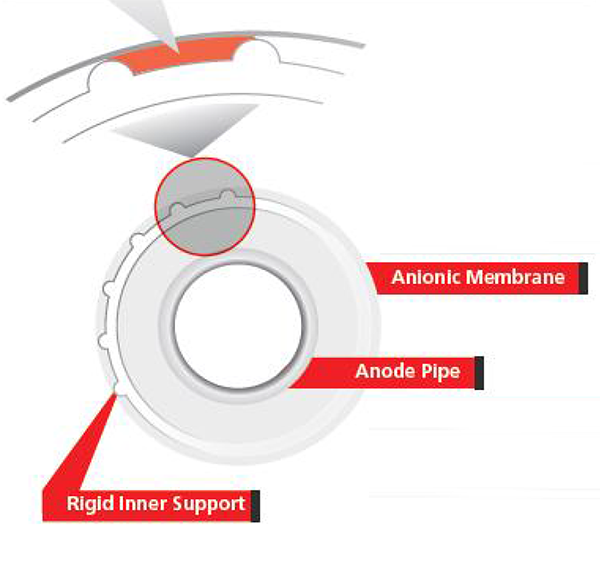 Tubular (Round) Anodes offer a greater range of electrical “throw angles” vs. flat cells. A greater variety of throw angles can significantly improve the coating quality and coverage in hard to reach areas of the part.